As your student looks at options to finance a college education, you may be struggling to keep everything straight. There are various sources of funding – federal loans, scholarships, private loans, and more. Understanding the pros and cons of each source of money is vital to making the right decisions for your family. What are private student loans, and how do they compare to other funding? Find out more now! Students around the country are asking themselves, “How do I get a student loan?” The answer to the question is not always straightforward. In particular, there are two primary sources of student loans. Many times students focus on federal student loans, but unfortunately, the limits on federal loans may not cover the full cost of college. Private loans for college can give your child an additional option to pay for the school they want to attend. Federal loans have several important advantages over private student loans. They are funded by the federal government, and offer repayment flexibility that may not be available privately. In addition, subsidized federal loans allow interest accrual to be delayed until after graduation. Federal loans also offer fixed interest rates, and you don’t have to repay them until you graduate. Private loans for college may require repayment to begin while you are still in school, and variable interest rates can cause payments to rise unexpectedly. The primary benefit of a private student loan is that it may be the only way to fill the gap between your student’s federal loan options and the actual cost of college. Banks also tend to have higher caps on borrowing, allowing a student to borrow more than their school’s listed financial need. This can be helpful if living expenses are a concern, but it can also put your child in a big hole after graduation. 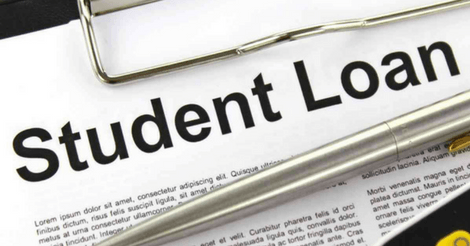 A private student loan allows you, the parent, to avoid borrowing money for your student’s schooling. However, because private loans have more strict credit requirements, your child may require a cosigner or face high interest rates and fees. Be sure your student fully understands the cost of a private loan. Variable interest rates may look attractive today, but over time rates can rise and cause payments to be much higher than expected. In addition, fees can drive up the cost of a loan. Finally, there’s less flexibility when it comes to loan repayment. Your student may need to start payments during school. If there are income difficulties or your child doesn’t immediately find work, the school loan payments will still be due. There are fewer protections if financial hardship occurs. Is a Private Loan Ever a Good Idea? The private student loan market exists because it can be hard to afford school with only scholarships and limited federal loans. They can be a huge help to students who need a little extra to afford their chosen college. Also, be sure your student shops around. Different banks can offer radically different terms, fees, and rates. Look for fixed interest rates, flexible repayment options, and other favorable arrangements. Remember that bankruptcy cannot dismiss school loan debt. What your child borrows, he or she is stuck with, even if times get hard. If you cosign, you’re stuck with them too, so think carefully before you do. If your child can choose a more affordable school, that may be a good choice. Or, you can ask the school to reconsider the financial aid package to see if more money is available. Debt is serious business, and you and your family should fully understand all funding options before you make your choices. Federal student loans should always be a first choice, but private loans for college can help you afford a school as well. Older PostWhat are Federal Parent Plus Loans?